Facing a Task Unfinished, the fifth studio album from Keith and Kristyn Getty, champions congregational singing and mission. Following the radical example of the hymn “Facing a Task Unfinished,” rewritten from its original 1931 version composed by Frank Houghton, where its urgent call propelled individuals, families and churches to global witness. This DVD includes footage from the album recording in Nashville's historic Ocean Way Studios, with appearances from Ladysmith Black Mambazo, Fernando Ortega, John Patitucci, the Getty band, and other special guests. This DVD includes live footage of song performances, behind-the-song interviews, insights into the creation of the album, and other special content. 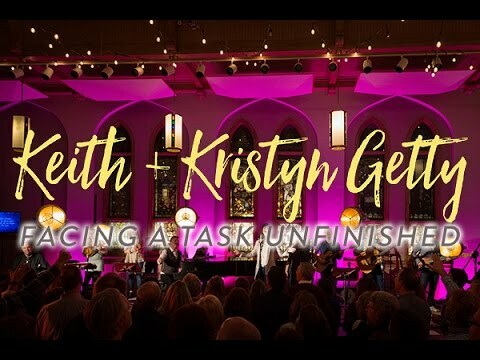 Join Keith and Kristyn Getty and their band in the journey of the creation of Facing a Task Unfinished!